James Whitehouse was born in Birmingham on 9th April 1873. A goalkeeper, he played for Albion Swifts and Mitchell St George's before joining Grimsby Town in June 1892. Over the next four years he played 110 games for the club. Albert Evans, Jimmy Crabtree, James Cowan, Charlie Athersmith, Johnny Campbell, John Devey, John Cowan and Jack Reynolds. In his first season he played in 22 games in the club's championship winning side. 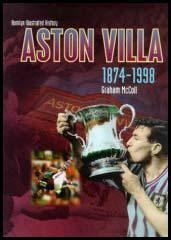 On 30th January, 1897, Aston Villa beat Newcastle United 5-0 in the third round of the FA Cup. Aston Villa went onto beat Notts County (2-0), Preston North End (3-2) and Liverpool (3-0) to reach the final against Everton. A crowd of 60,000 arrived at Crystal Palace to watch the final. Charlie Athersmith scored the opening goal but Everton hit back with goals from Jack Bell and Richard Boyle. 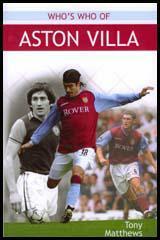 Aston Villa continued to dominate the game and added two more from George Wheldon and Jimmy Crabtree. That finished the scoring and therefore Aston Villa had emulated the great Preston North End side that had achieved the FA Cup and Football League double in 1888-89 season. In May 1898 Whitehouse joined Bedminster. The following year he rejoined Grimsby Town and in the 1899-1900 season played in 27 games for the club. In September 1900 Whitehouse joined Newton Heath. As a result of injuries Whitehouse played as an inside-forward against Walsall. According to newspaper reports of the time, he had a very good game. By 1902 Newton Heath was £2,670 in debt and faced a winding-up order. At a shareholders' meeting in the New Islington Hall, Harry Stafford announced that he and four local businessmen, including John Henry Davies, were willing to takeover the club's debts. The Football League approved the plan and Newton Heath now became Manchester United. It was also decided that the club would now play in red shirts and white shorts. After playing in 59 games for the Manchester club in joined local rivals, Manchester City, in February 1903. However, he failed to make the first-team and moved on to play for Third Lanark (1903-04), Hull City (1904-05) and Southend United (1905-07).